From introductory level to advanced study, this kit provides engaging lessons on insect classification and arthropod characteristics. Two separate levels of instruction are provided for each step of this activity. 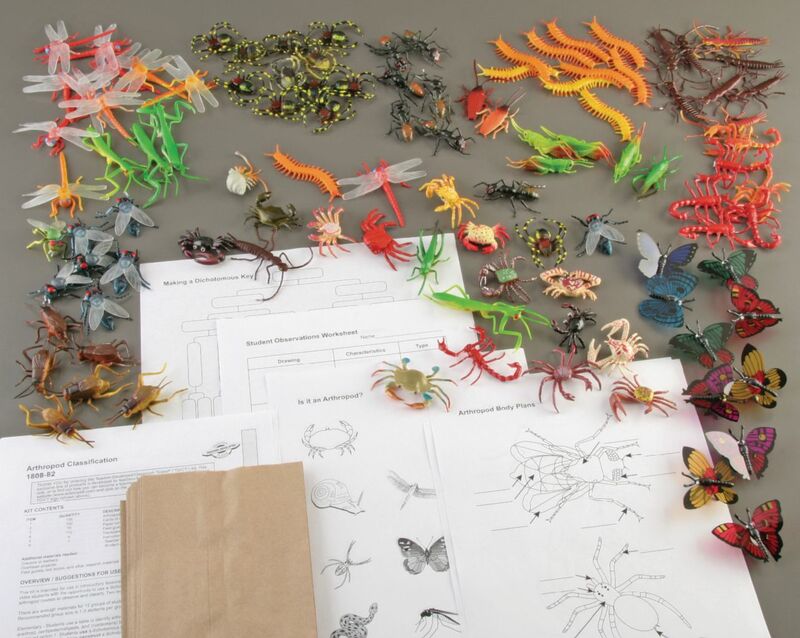 Beginning students will use a table to classify plastic models of insects, while advanced level students use a dichotomous key to identify models as insects, arachnids, crustaceans, and centipedes and millipedes. Additional advanced level study asks students to construct their own dichotomous key for arthropod classification. Developed by Kimberly Rogers. Includes instructions for two levels of activity and materials for 12 student groups. Grades 4–10.